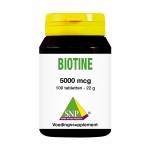 Many Biotin supplements in our webshop! 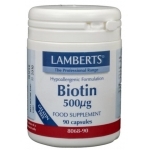 Biotin is the official name for vitamin B8. 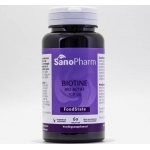 It is part of the B-vitamin family and like the other family members a water soluble vitamin. 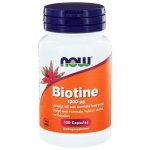 Which means that over dosing is not very likely because the body can get rid of the biotin quite easily. 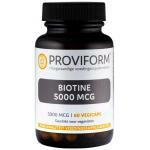 It is also not a neccesssity to take biotin with a meal, it can be taken during the day when every you want to. 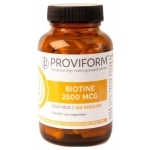 Natural sources of biotin are eggs, liver, milk and nuts. 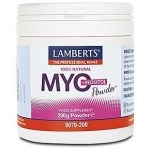 People who eat few to none of these products can use the supplements in our store to supplement the body on a daily basis. 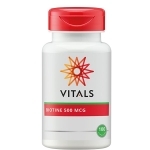 We only sell good quality and when ever possible supplements with natural sources of vitamins. 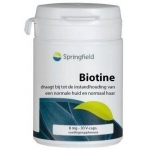 Another good source of Biotin is natural Brewer's yeast which we also sell in our webshop. 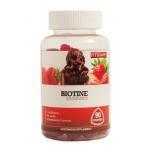 Profit from our affordable pricing!